If you’re like us and are battling a stubborn online shopping addicting, you might as well learn how to save some cash in the process. In this article, we’ll give you 15 shopping tips for saving money online. The average American spends about $18,000 on e-shopping each year. We all love the convenience of buying things online. 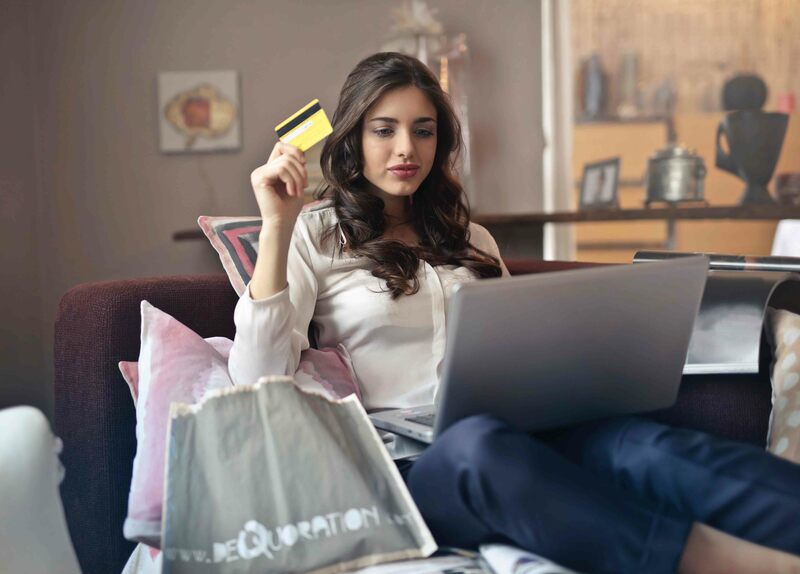 But while shopping online can certainly save lots of time, and it’s nice being able to buy pretty much anything while in your pajamas, it can also be quite costly. Thankfully, there are various tried and tested ways to help you save some of your hard-earned cash. Here, we’ve put together 15 of the best online shopping tips that’ll easily save you a tidy sum every year. Acting like you’re not interested in your favorite products can really be to your advantage. If you spot something you like, place it in your shopping cart and go away for a couple of days. Retailers don’t like the unclosed sale, so they might try to sweeten the deal by offering you a voucher code. However, this hack works only if you’re logged in to your account when you leave the product in your cart. Making purchases offseason can be a good way to really get some huge savings. The prices of products are hugely impacted by supply and demand. Gas prices shoot up in the spring and go down in the winter. Swimwear is in great demand in the summer, but that demand drops in the winter. Likewise, coats are in high demand during the winter but less so in the summer. So, buy your items out of season and you might save yourself a fair bit of money. It probably won’t come as a shock to hear that merchants want to wring as much cash as possible out of you, and sometimes they employ a sneaky tactic known as dynamic pricing to achieve this aim. Brands have all your information. They know where you stay, how much you might earn and spend, as well as how much you like a product. For example, if you live in a good area and have been checking out a certain dress, it’s likely to appear as costlier than if you stayed somewhere else and have never looked at it before. To get a much fairer price, clear out your browser history and especially cookies. Then switch to private browsing to take advantage of anonymous surfing while shopping online. Just as sellers know what day(s) customers make the most buys, they also know what time of the day the majority of people shop, courtesy of black box algorithms. This helps them increase and reduce their prices all day to make the most profits. Depending on the item, prices might fluctuate by up to 15 percent in just one day. As it’s difficult to understand black box algorithms, download software that tracks various websites and notifies you when the items you want are at their cheapest price. Most people roll their eyes when the word ‘coupon’ is uttered. It’s quite a tedious task cutting out small squares from the weekly newspaper to give them to a cashier. However, this process is so much easier online. You can visit websites like CouponCodes or RetailMeNot to access discounts on daily products. Codes are useful for various retailers, including Walmart, Sears, Macy’s, and Target. When you exit a site, you’ll see these words: “promo code”. Simply copy and paste this code into the appropriate field. That’s all you need to do. You’ll be surprised at the rewards you could reap. Even if you don’t do much shopping online, you should install a browser add-on such as Honey or PriceBlink. While you shop, these apps will scan the web automatically and provide different prices of any product you’re checking out. The apps will remain hidden when you aren’t shopping. It’s quite frustrating to find a coupon for an item you really want only to realize that it lapsed a couple of days ago. Did you know, however, that you might actually even receive a fresh promo code or have the coupon extended, just by haggling with customer service? In most cases, sales reps simply want to seal the deal, so they’re likely to help if you ask. You just need to get in touch with customer service. Even if it doesn’t work all the time, it’s certainly worth a try. Many online stores, including Amazon.com, provide affiliate marketing programs. Such programs will pay up every time someone buys something using your affiliate link. Just sign up for an affiliate program, for example, Amazon Associates. Then urge your loved ones and friends to buy stuff through your affiliate links. You’ll earn a commission on each sale. You can also introduce your friends to affiliate programs, so they can earn a commission when you buy through their links. This is one of the best ways to save cash when shopping online. Often, merchants, for example, Amazon, will provide shipping for free if you spend a given amount. If you haven’t quite achieved the minimum amount, consider other things you may need. For instance, with Amazon, you’ve got to spend a minimum of $49 to earn free shipping. If you’ve spent less than that amount, then consider adding a small, inexpensive product to reach that limit. You’ll have the products you need and save cash on shipping. If a deal appears too good to be true, check out that product’s reviews. Reviews on the online store could be fake or biased, but there are authentic ones too. There are other sites that also publish product reviews. Take your needs and budget into account–what works for one person might not work for another. Check if colleagues or friends have purchased that item and find out their experience. Product reviews can also reveal if the item displayed is an earlier version, hence costing less–but if it meets your need, get it and save cash. Every person has their own favorite brands when shopping online. Keeping an eye out for the best deals for all brands is definitely not possible all the time. You can make this process easier by using your social networks though. Just follow your favorite brands on sites like Instagram, Facebook, and Twitter to mention a few. It’s critically important for all brands to stay connected with their customers. Even if you don’t get newsletters (which invariably end up in the junk folder), you will get updates on new product information and the latest trends from the social network feeds. Furthermore, the leading brands advertise themselves on social media. Most of them even inform shoppers about the discounts and deals available. All wallet and bank apps now bombard us with tons of notifications, texts, and emails about special shop online deals and offers. These might be for product cashbacks and discounts, for purchase through their app, or even for payment using their wallet, credit, or debit card beyond a certain amount or during a specific period–no matter which website you purchase from. They may give bonus reward points as well. Set labels or filters to monitor such emails so you’re aware of all offers. Sometimes you can save some cash by being a bit more patient. If you don’t actually need an item right away, then you should wait for a little and check back every day for two weeks to find out if the item is on sale or a new coupon is available. By exercising patience, you’ll often see better deals popping up. Seems like a no-brainer, but this is one thing many shoppers pass up for fear of jamming their inboxes. Fortunately, emails apps can reorganize your subscriptions into a single daily summary. In addition, you can make an email address exclusively for retailer newsletters, then search through that email when you’re purchasing from a particular retailer. Companies will often give you a good discount (even as much as 30 percent) simply for signing up. Make sure to do some comparison shopping before you buy. Even if you’re purchasing a ‘sale’ product, you can find a cheaper option at another seller. Research is simple; just type the product’s name on Google and compare prices. Be sure to always check the manufacturer’s site as well, as they could offer perks like extra savings or free shipping. Whether you’re looking to simply buy a new pair of trendy shoes or overhaul your entire wardrobe, it always pays to save some cash here and there. For some useful hacks on happy living, including how to find the best coupons and how to save cash when shopping for a holiday, be sure to explore our blog.